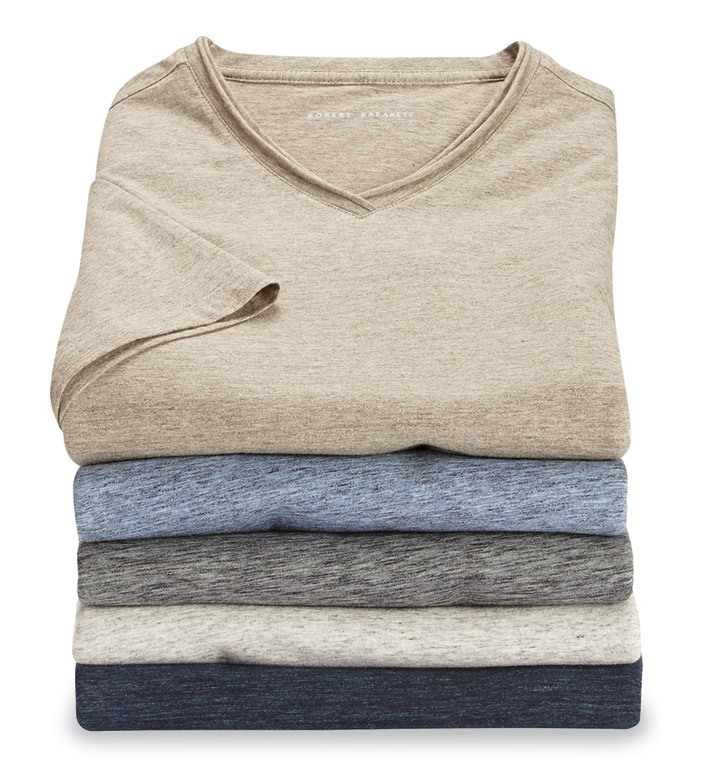 Easy-going update of a classic in a heathered knit of soft, 100% cotton. Short sleeves, V-neck with modern rolled edge detail, straight hem. Machine wash. Imported.